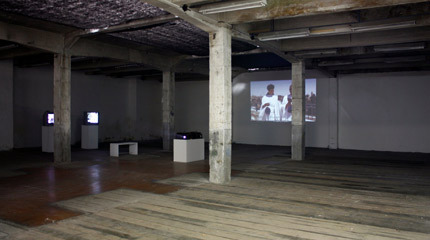 In their projects Tamara Moyzes and Sholmi Yaffe frequently occupy the position of mediators among various cultures. Their point of departure is personal experience. 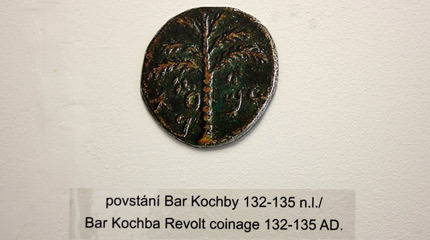 As a couple of Slovakia – Israeli origin based in the Czech Republic, Israel and Slovakia they are more than familiar with the concept of “the foreigner”, including its ramifications. 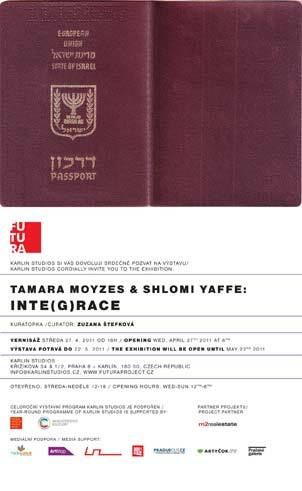 After dealing with the condition of foreigners who live in the Czech Republic (among other the Welcome to Prague and Protocol projects), the couple return to the subject of citizenship, and its allied issues – this time however from an international perspective. 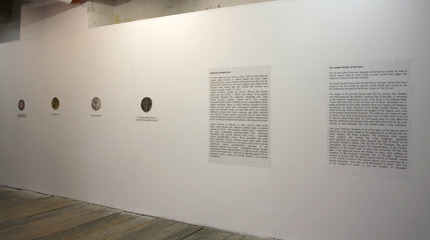 The Integration exhibition documents a fictional project, which deals with the integration of Israel into the European Union. This provocative plan introduced to citizens of the Czech Republic as a possible resolution to the conflict in the Middle East and Israel, confronts the hopes, fears, ideals and indifference of citizens of both countries. 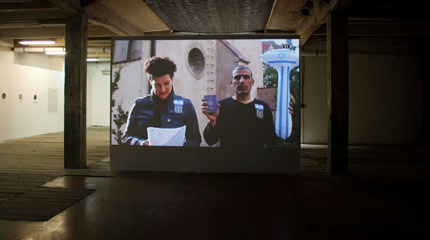 The fictional survey on the possible integration of Israel into Europe embodies a number of levels; it points on the one hand to the mystifying documents that verify the Israeli-European contract, the foundation of the Euro with an Israeli motive, or artifacts such as the EU Israeli passport, as well as surveys and performative readings of the project‘s manifest organized in Jerusalem and Prague. The plan for peace in the Middle East similarly to the European passport for redemption of Zion manifest, both suggest that for decades Israel considers itself to be an inseparable part of European culture. It thus comes as no surprise that many representatives of the Israeli state would like to affirm their pertinence with Europe also politically. The viewpoint of those who defend ethnical homogeneity of the Jewish state is rooted in the fact, that connecting with the European Union would open doors to Palestinians living in Europe, who could suddenly return to Israel. Besides other, the survey points to the fear from the downfall of the Jewish state, resembled also in the Israeli constitution and tenancy of individual Israelis who adhere their national symbols. 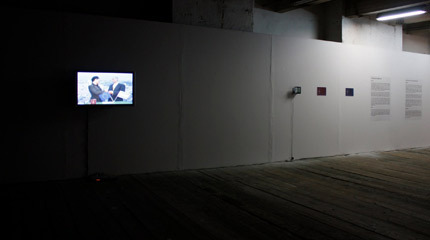 Nevertheless, the exhibition is ambiguous with a focus on the Czech scene. The Prague survey therefore still touches up on the poignant question of anti-Semitism. Would contemporary Czech Christian, or more precisely secular society accept the Jewish population, or would the Czechs relinquish the Jews as frequently is the case with other religious minorities? Could the Czech society guarantee that a history of discrimination and oppression won’t reiterate? Although members of the European far right frequently criticize Israeli operations towards the Palestinians, it is far less likely that they would agree on the possible return of Jews to Europe. A number of European leftwing pro-Palestinian activists believe the conflict in the Middle East could be resolved by emigration of Jews to Europe, even though a majority of Israeli citizens lack any form of relation to the old continent. Several Israeli representatives hope for Israel joining Europe, while for example Silvio Berlusconi or Javier Solana suddenly remind us that Israel already operates as an informal part of the European Union, and meets the requirements for entering the EU more than a number of European Union existing members. 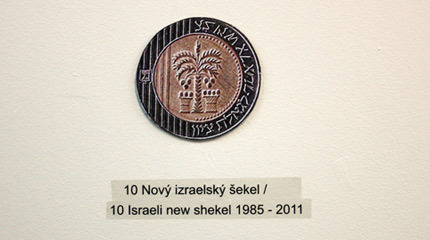 The goal of the artists is not to provide staid answers to questions of Israeli cultural and political future. Through the process of mystification their aim is to point to the fear from chauvinism, embedded in the heart of any form of racial detestation. In times defined by the rise of extreme rightwing doctrine on the local political scene, this question gains on urgency and the topic under scrutiny becomes unduly topical.